If you’ve been following our mini-series of posts for Autism Awareness Week, you’ll already know what a visual schedule is and how it might benefit your child (Visual schedules – what, who and why) and you’ll have thought about what type you’re going to try (Visual schedules at home – choosing the right one). Now none of that is any use unless you’re able to make it work effectively for you and your child so we’re finishing off with some top tips to making visual schedules work for you. 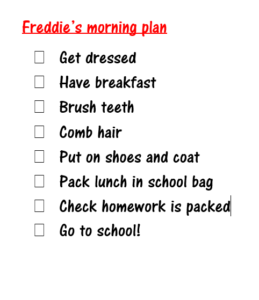 You might start with a daily schedule that shows the major events in your child’s day but then you can add a number of mini schedules to target particular tasks or events. Breaking activities or parts of the day down into smaller sections avoids having one schedule that is too long or difficult for your child to follow. For example, if you are having difficulty with a particular routine then try a mini schedule just for that activity. A simple way is to make up a sequence of pictures showing the individual steps in the routine and the sequence of them such as this example for a bedtime routine. 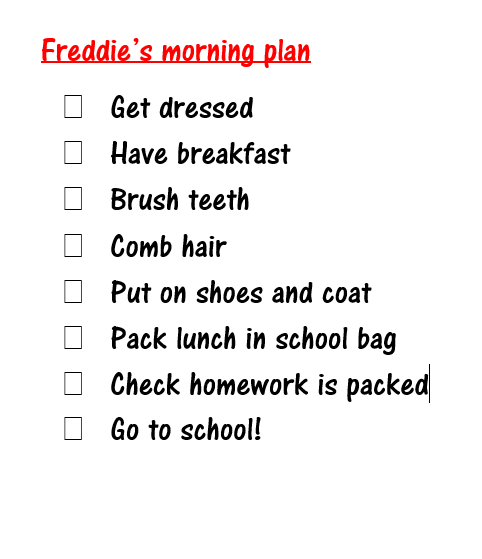 The extent to which you can do this will obviously depend on the age and ability of your child but the more you can involve them in helping to make their own schedules, the more likely they are to take ownership and be committed and motivated towards using them. This was an important consideration for us when we designed TomTag and we chose bright colours for our tags to encourage children to want to use them. We have also found that TomTag is very tactile and children really enjoy applying the stickers and clicking the buttons into place. It may take a little more effort in the beginning but using a schedule consistently and integrating it into your normal routines is a key factor to success. 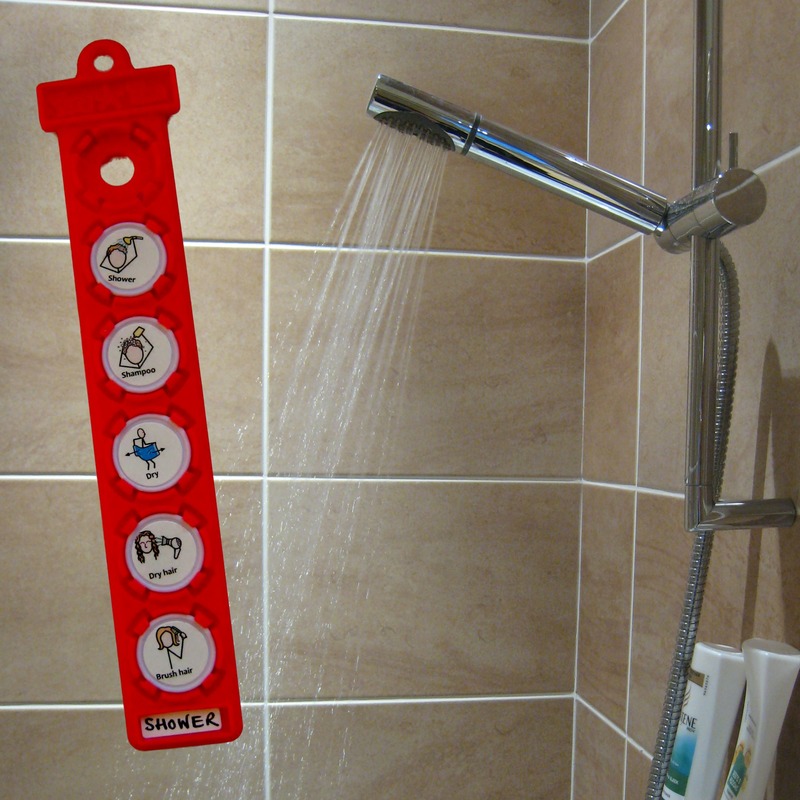 Have your schedules prominently displayed so that your child can see them in the places they need to use them. Use the schedule to guide your child back to an activity if he wanders away. Encourage your child to use their schedule by using it as a reference when talking with them about what they have just experienced, what is happening now or what is coming next. Make sure that the language you use to talk about the schedule matches your child’s level of understanding and, if appropriate, model how to use it by performing the steps yourself. Just because a schedule is working now unfortunately doesn’t mean you can put your feet up and relax! Remember that the aim at the end of the day is more independence so change is a necessary (and welcome) part of the process. Monitor how your child is using their schedules. If after a few weeks of use they no longer need the same prompts to complete the activity then congratulations! Move on and target another routine or area of difficulty. If on the other hand there’s been no progress with independence, try changing the format of your schedule or reducing the number of steps in it. Do bear in mind any other factors that may be holding things back eg. illness or problems at school and if necessary, wait and try again with the same schedule another time. Remember to keep schedules up to date and be consistent in showing all the child’s activities especially if there are frequent changes. 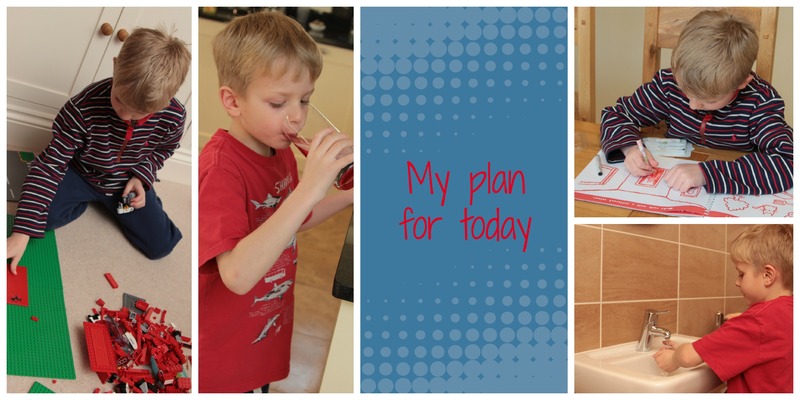 There are many advantages to using visual schedules at home for a child with autism/ASD and their family. As well as the more obvious immediate benefits you will gain, time and effort invested now will bear dividends in later life so be persistent – it is worth it! The ability to follow a schedule independently is a universal skill that makes many areas of life more accessible, impacting on education (attending school, completing homework, etc), daily living tasks and ultimately employment. We value the use of schedules at home very much and so we’re delighted that we’ve been able to add a set to our range specifically for this purpose – our I know what to expect at home pack. Now that you’ve read about the benefits of using visual schedules at home – what, who and why, you’re ready to move on to finding out more about how to choose the right kind of schedule for your child. 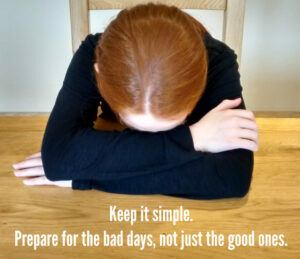 The most important thing to think about when deciding which type of schedule will best suit your child is that it has to work when they are having a really bad day as well as a good one. That’s the time when you and your child are going to be the most stressed and probably need the support provided by a schedule even more than when things are going well. Most of us don’t perform to our best when we’re stressed so why would your child? Consider choosing a visual schedule that is easier than you think your child can handle. More complex is not necessarily better – keep your focus on the goal of independent usage. This is the simplest type of schedule and works well for children with few language skills or who are mostly non-verbal. 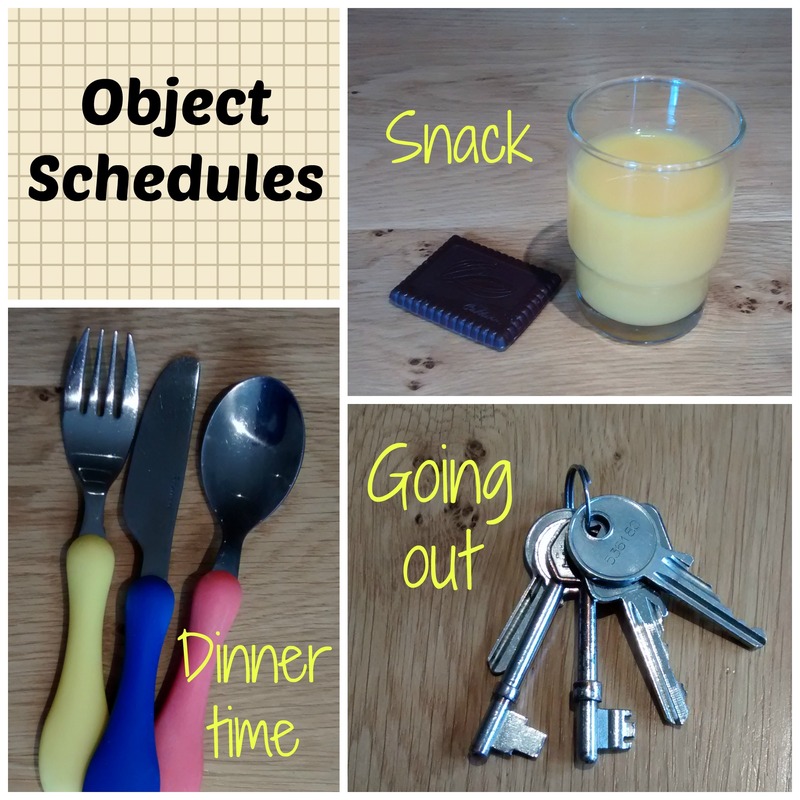 Tangible objects are chosen to represent activities; for example, a cup for snacktime, a spoon for meals or a shopping bag for trips to the supermarket. 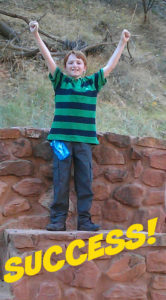 Hand the object to the child to indicate the activity they are moving or transitioning to next. It’s important to make a list of which objects you are going to use to represent each activity and above all, be consistent. Pinterest is a fabulous resource for ideas! A child is ready for a picture or photograph schedule when they can consistently match pictures in the same way you would in a simple lotto game. Some children find photographs easier to recognise whilst others can use drawings. For my own son I started by laminating photographs of real objects and built up a series of activity cards he could follow. I included images of household items such as his clothes and toys as well as places we visited regularly like the park and shops. When he was ready to recognise drawings I used printable pictures from websites such as do2learn.com. TomTag is a form of picture schedule. From my own experiences of late nights spent printing, cutting and laminating pictures and symbols, I knew when designing TomTag that it had to be an easy to use system where none of that would be necessary. We use these often in our daily lives although we may not recognise them as such. Diaries, organisers, shopping and task lists are all forms of written schedules. They obviously work best for children who can read but you can transition from picture to visual schedules by adding words alongside the pictures and then gradually work towards replacing them completely. You might start with a basic written list and cross off items as they are done. As skills emerge, you can move on to more complex written schedules such as day planners and electronic organisers. These are the three main types of schedule you will come across although there are obviously many variations you can create for each type. Sometimes it’s a matter of experimenting with different ones until you find something that’s right for you. In part 3 Visual schedules at home – making sure they work we’ll share some top tips for using schedules and how best to make them work effectively. Visual schedules at home – what, who and why? Have you been advised by your child’s school or therapist to use a visual schedule at home and you’re not sure where to start or indeed if it’s really worth the effort? To coincide with Autism Awareness Week we’re featuring a series of blogs in which we’ll look at the benefits of using visual schedules at home, the different types of schedules you can use and how to get the most out of them. We’ll start by looking at what a visual schedule actually is and why you’d want to use one. In simple terms, any series of pictures, photographs, drawings, words or numbers which depict a sequence of events or activities can be described as a visual schedule or support. Most of us rely on some form of schedule to help us organise our lives. Think about your calendar, to-do list or a recipe you recently followed; these are all examples of visual schedules that help us remember what we’ll be doing and when things will happen. 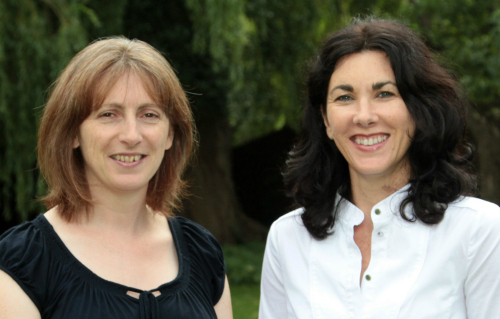 We rely on these supports to help us navigate our day-to-day lives and can quickly get anxious if we don’t have them. Think of a time when you’ve misplaced your diary or mobile phone and missed an important meeting or turned up late as a result. A visual schedule (sometimes referred to as a visual timetable or timeline) for an autistic child is a way of showing them information about daily activities, objects or events using pictures, photographs, symbols or written words. As you can see, in some form or other we all do! In most cases though, we don’t need to use the same sort of visual reminders for the regular and predictable parts of our daily lives. However, children with autism/ASD often have difficulties dealing with unstructured time and benefit from the increased structure and reassurance provided by a visual schedule. They can feel lost or anxious if daily activities aren’t clearly indicated or a sequence of events is not understood. Imagine being totally dependent on family and friends to remind you of your daily activities and the frustration you might feel if the information they gave you was inconsistent or difficult to understand. A physical visual support provides consistency and avoids the transiency of verbal instructions. 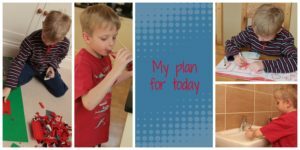 Why use visual schedules at home? Research has shown that many children with ASD have strong visual skills and that visual schedules are one of the most effective interventions for these children. Visual learners are more likely to remember and understand what they see than what they hear and a visual schedule can also reinforce verbal instructions that may have been missed or forgotten. Most children will be used to seeing visual timetables and prompts at school that show the class what to expect during the school day and how to navigate around the classroom. For children with autism and other learning difficulties, it can be even more important to use visual schedules at home than at school. Whilst the school day is largely based on routine the same structure doesn’t usually happen at home and this can often lead to tantrums and meltdowns. Sounds like a lot of effort – is it worth it? There are clearly many advantages to using visual schedules but we know from experience that getting started and persevering can be a daunting and time consuming task. These days there’s certainly plenty of information and resources available online and elsewhere but finding the right thing for you and your child amongst it all can be a challenge. Where do you start? 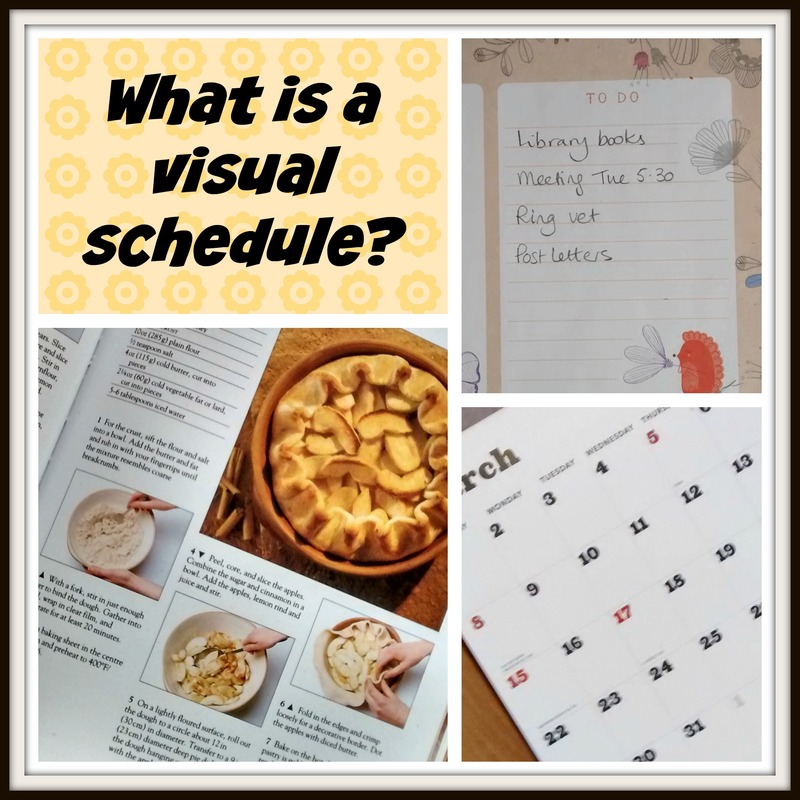 In part 2 Visual schedules at home – choosing the right one we’ll be looking at different types of visual schedules and how to choose the most suitable one for you and your child. In part 3 Visual schedules at home – making sure they work we’ll share some top tips for using your schedule and how best to make it work effectively.